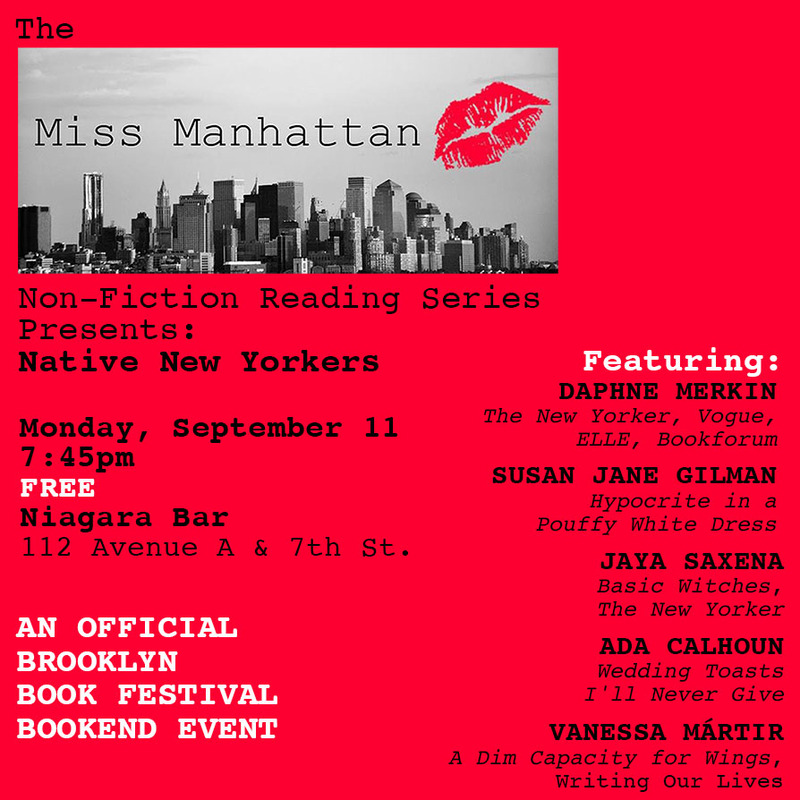 Passionate about writing and reading non-fiction, I wanted to give non-fiction writers a louder voice in the New York literary scene. 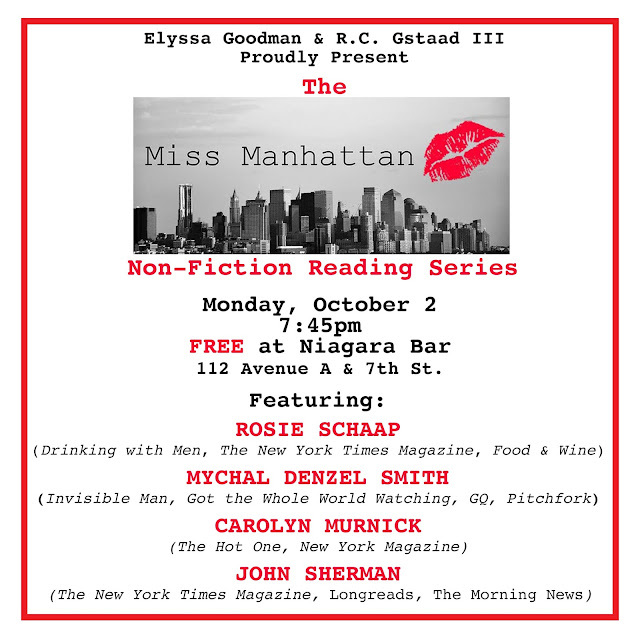 So I created my own reading. 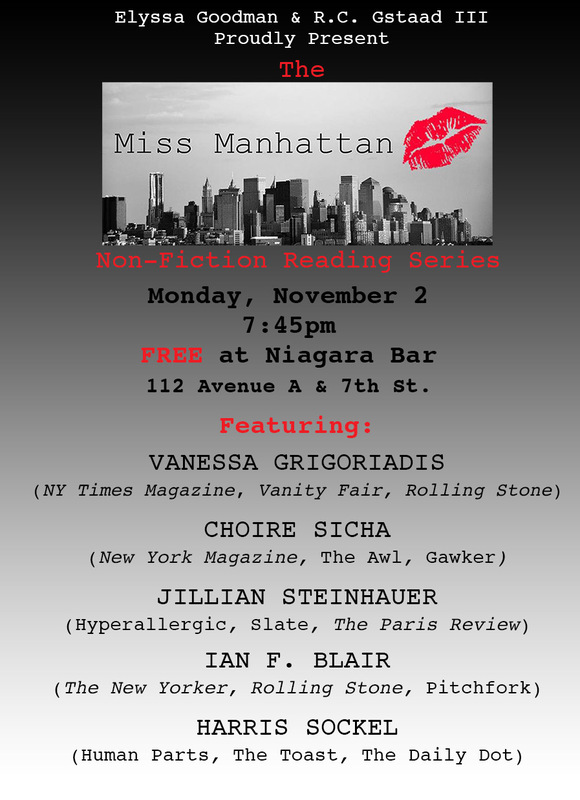 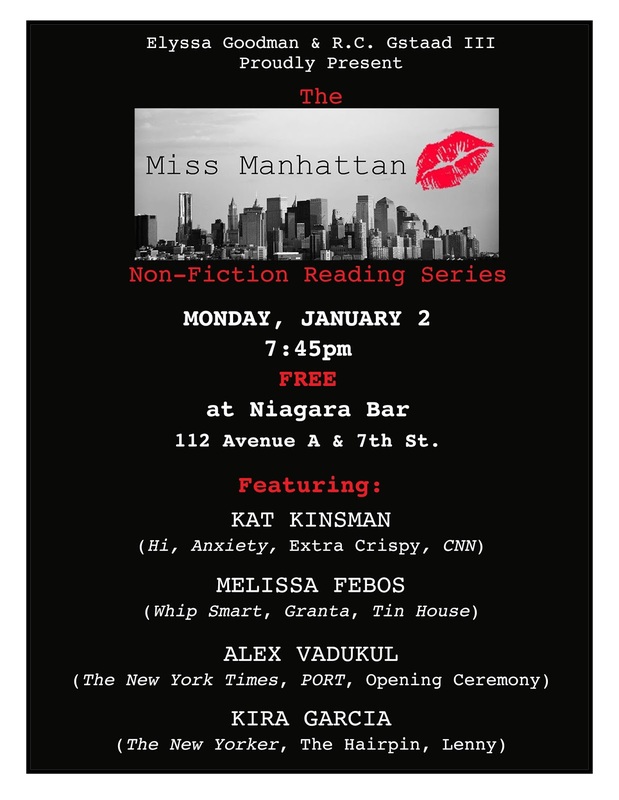 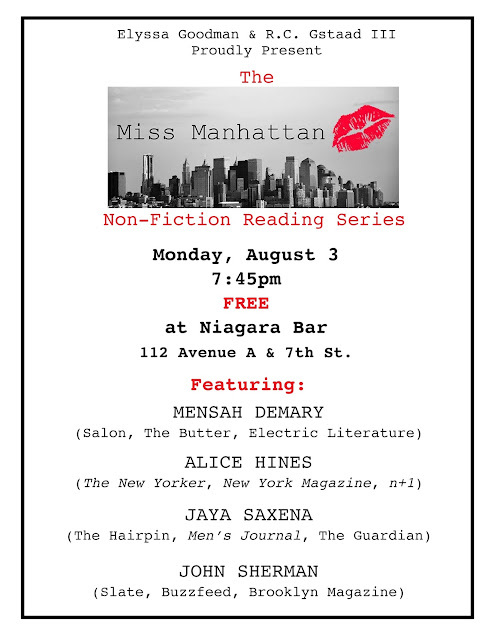 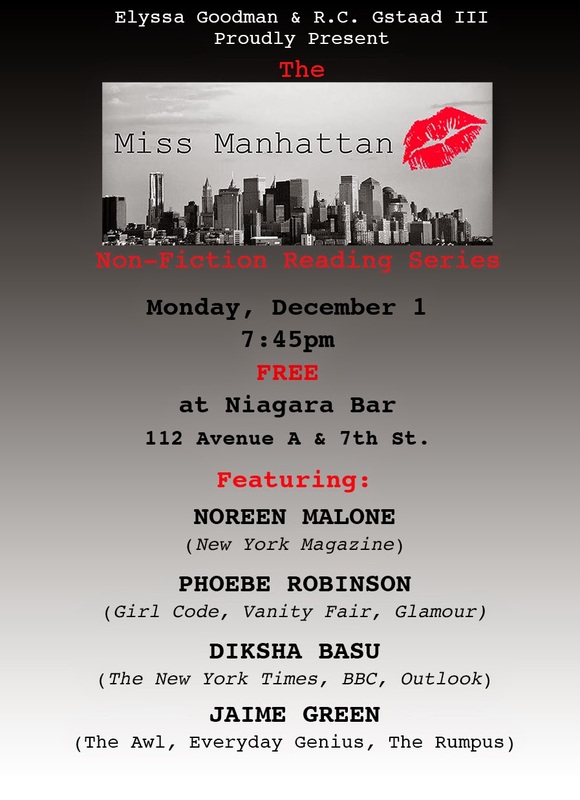 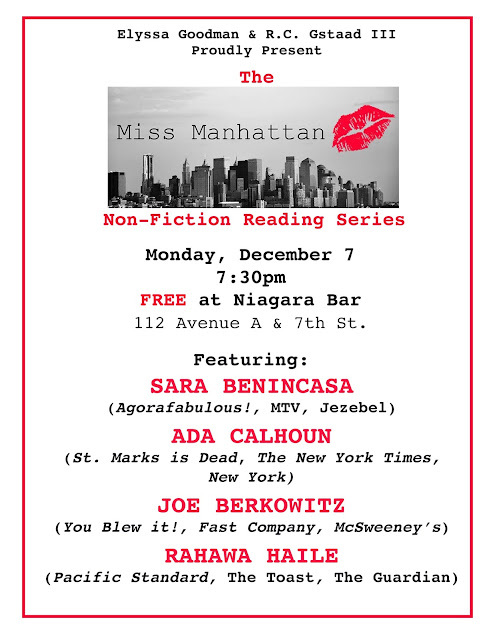 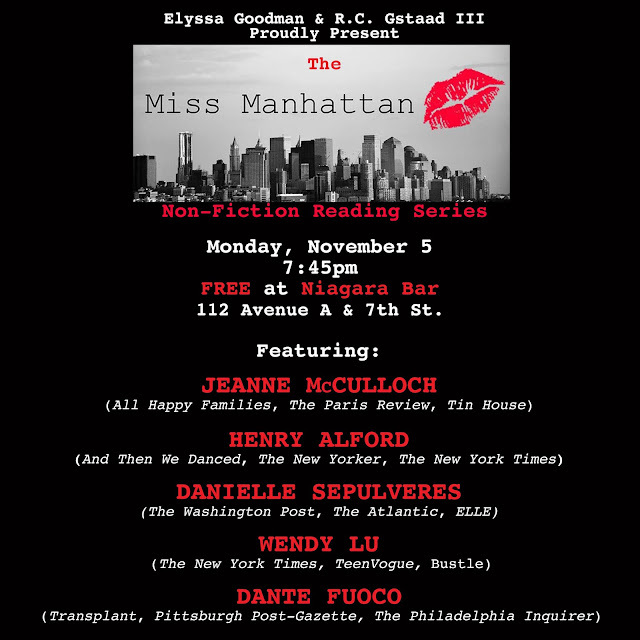 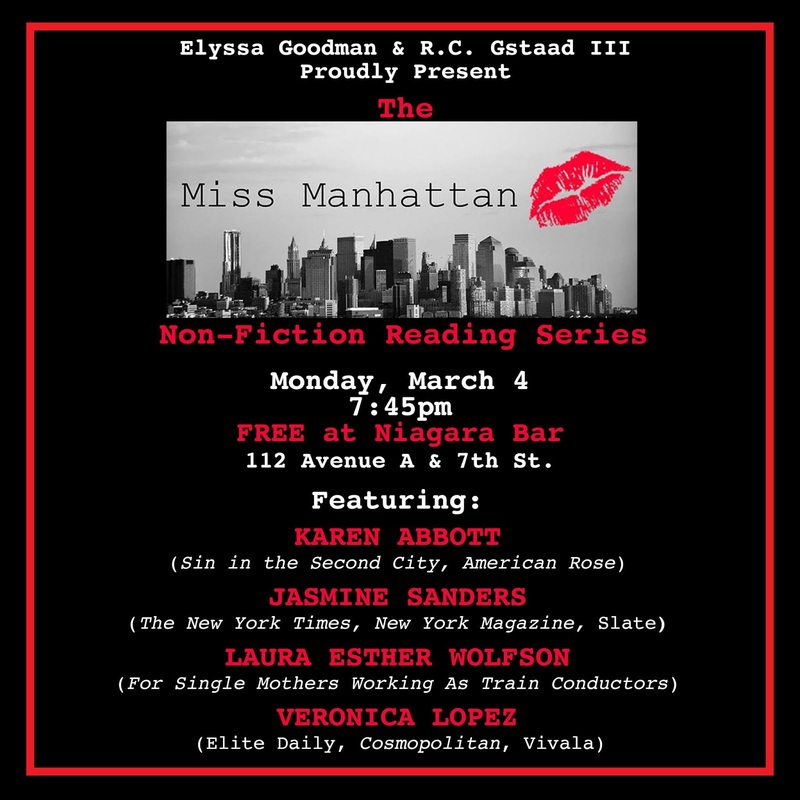 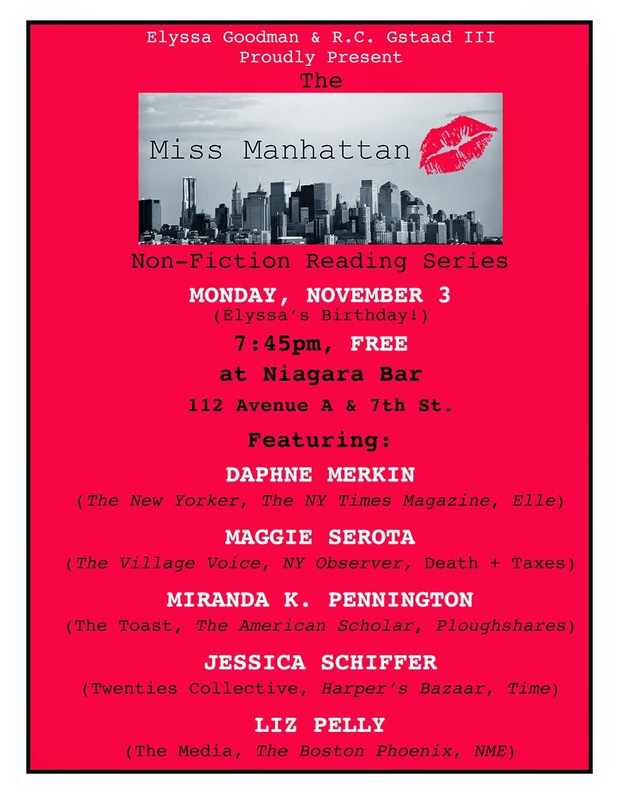 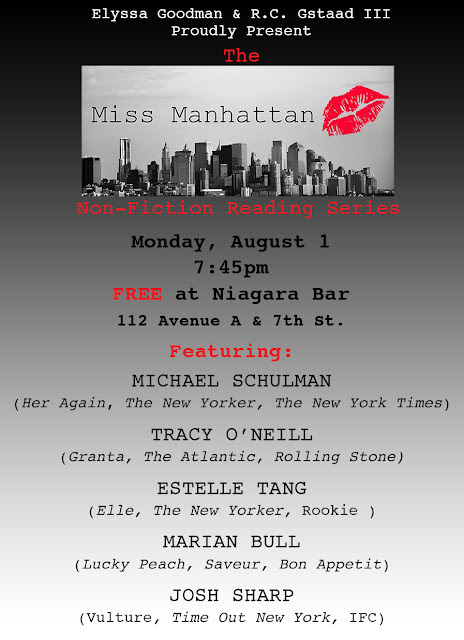 The Miss Manhattan Non-Fiction Reading Series gathers once a month (usually the first Monday) at Niagara Bar (112 Avenue A at 7th St.) in Manhattan's East Village. 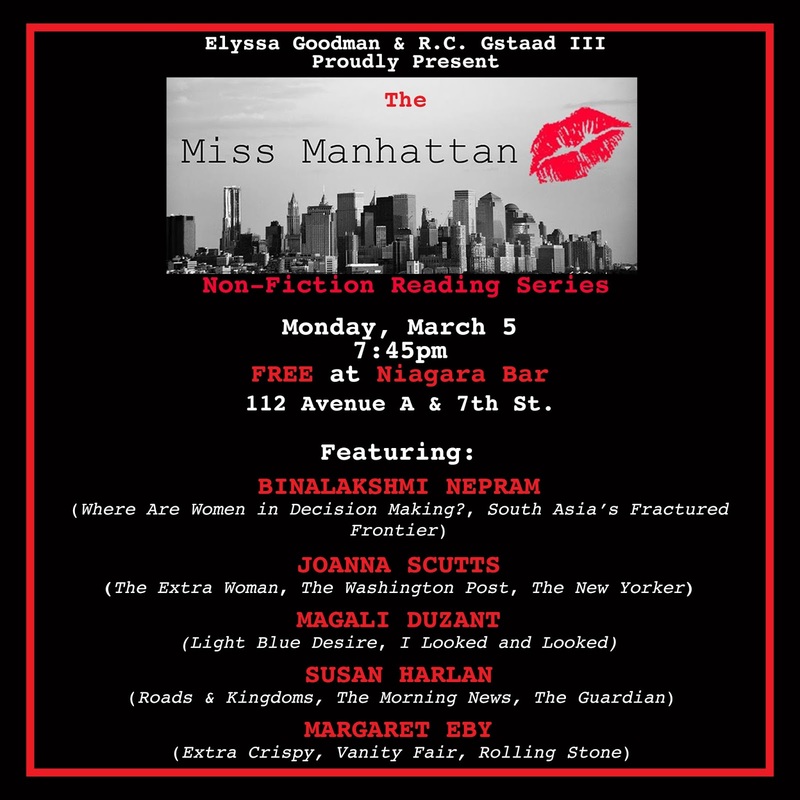 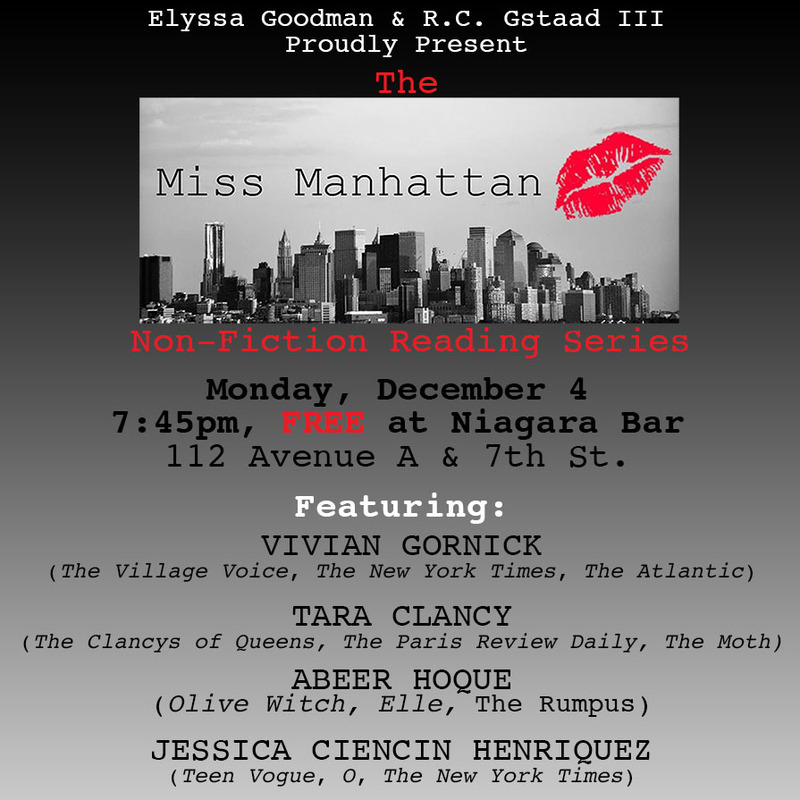 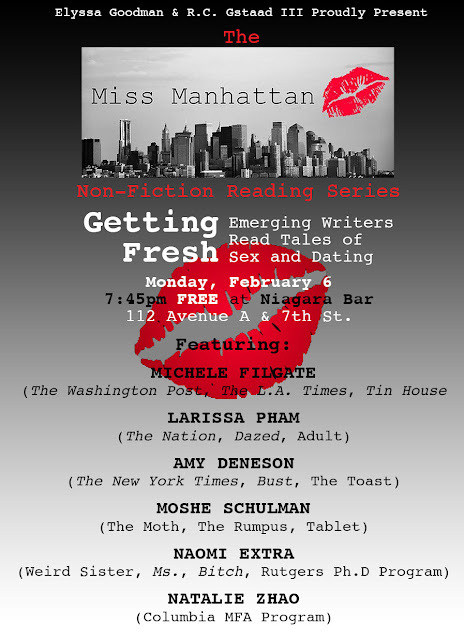 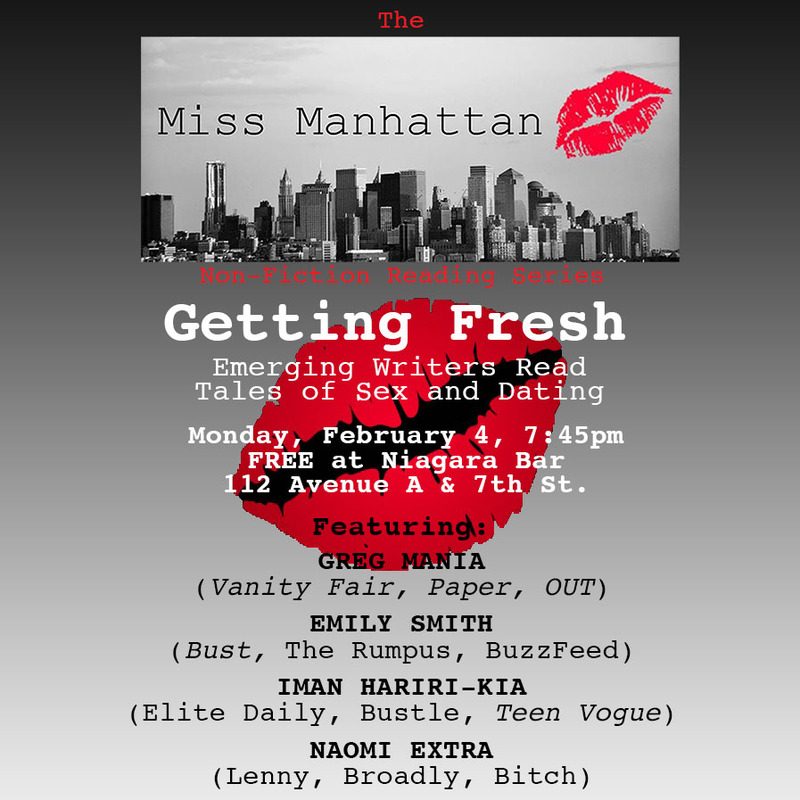 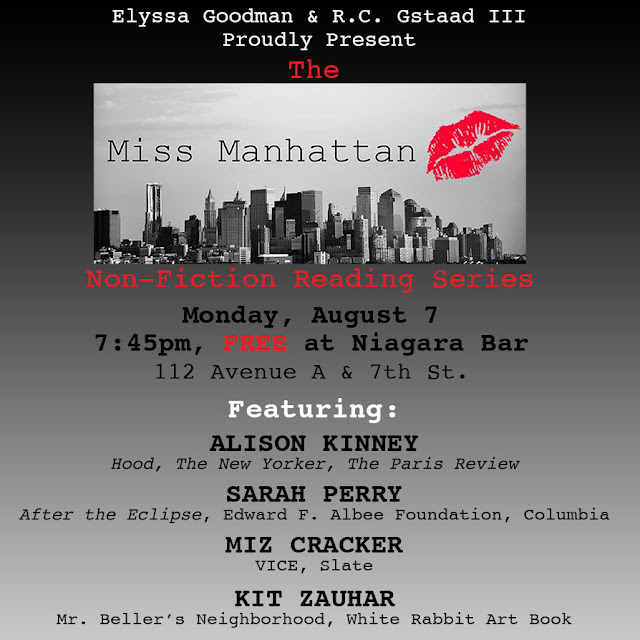 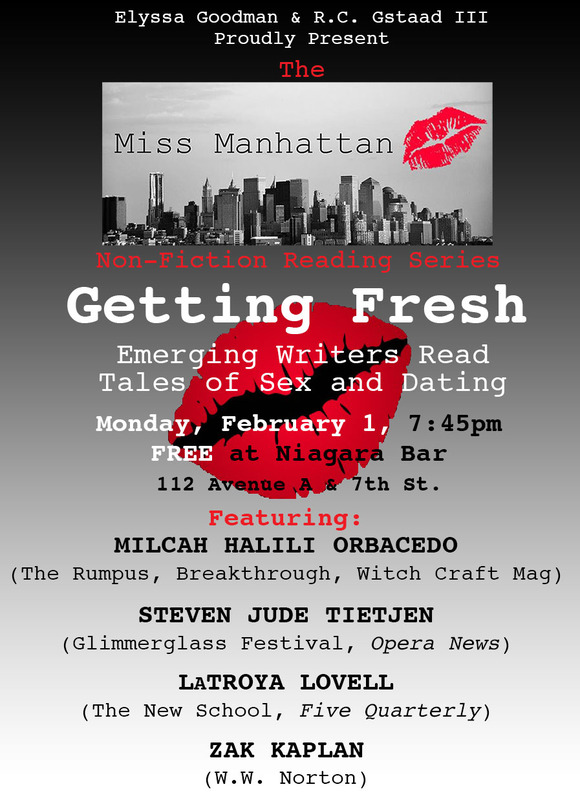 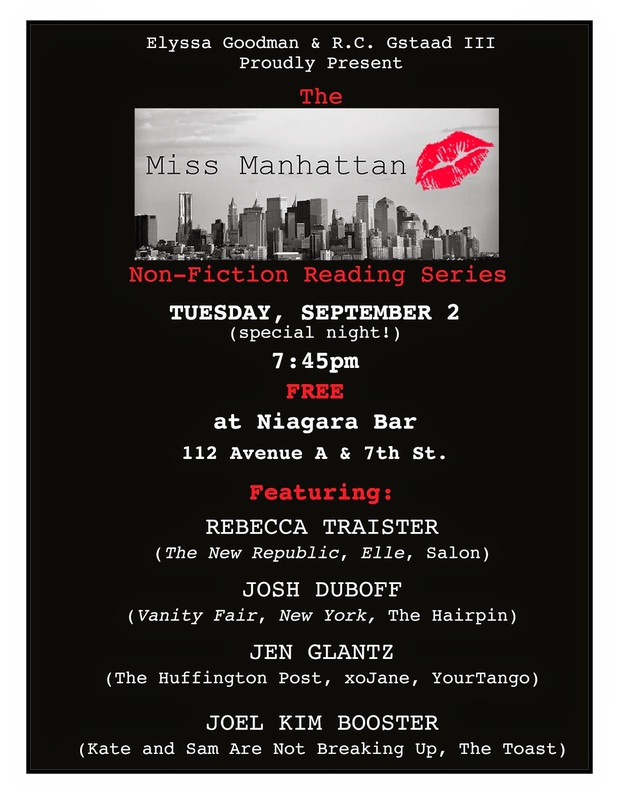 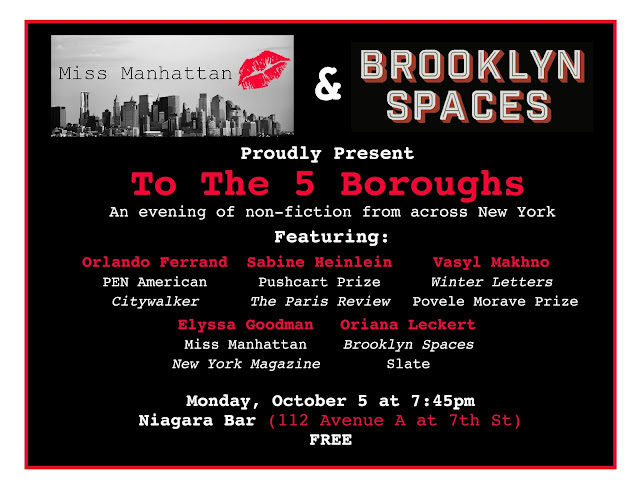 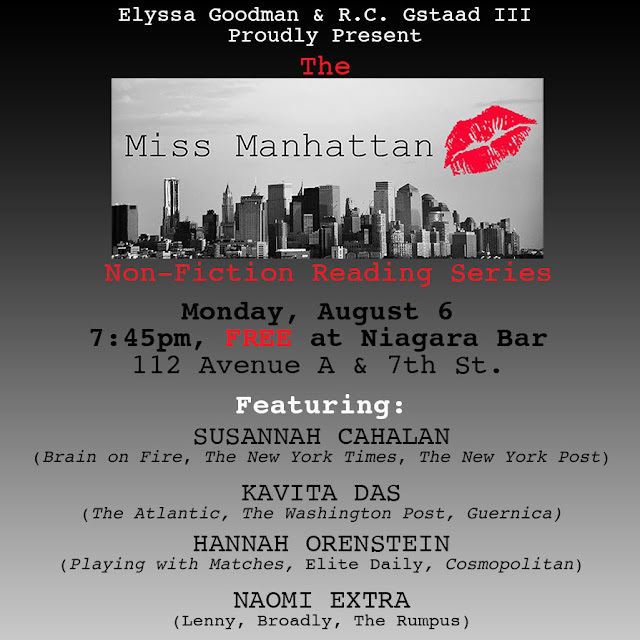 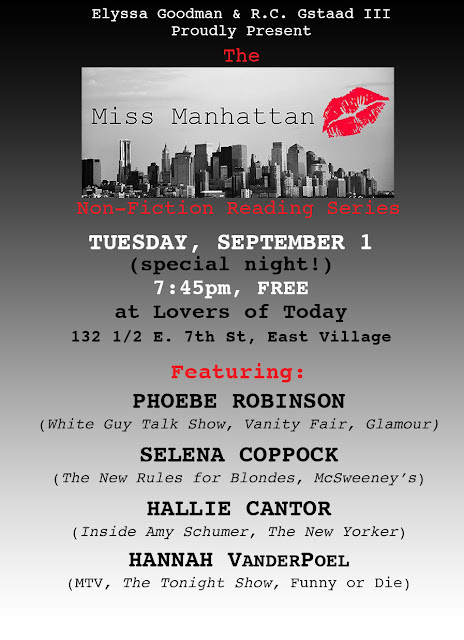 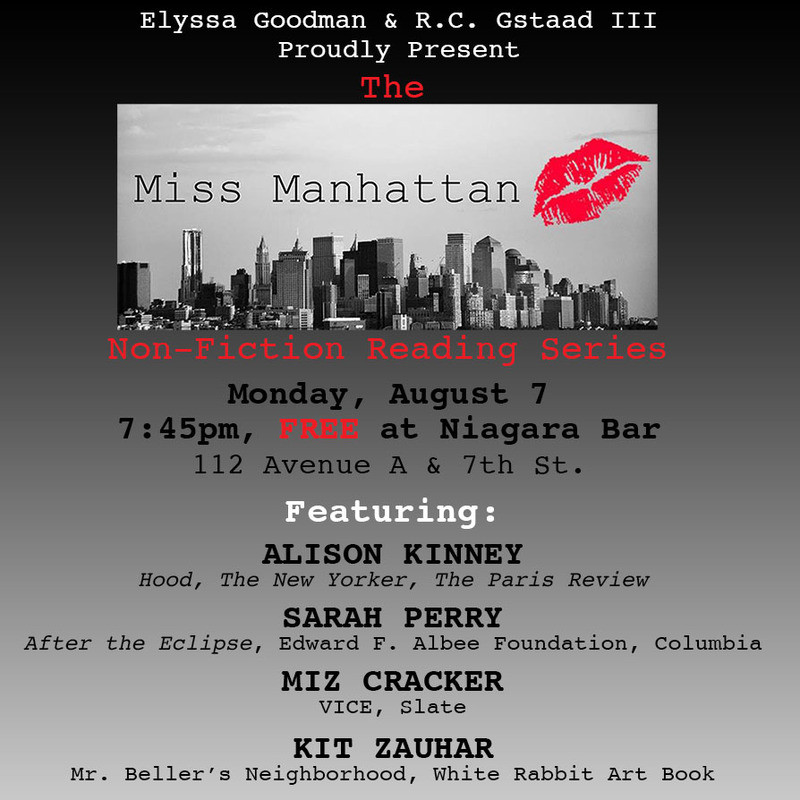 The Miss Manhattan Reading Series is absolutely FREE! 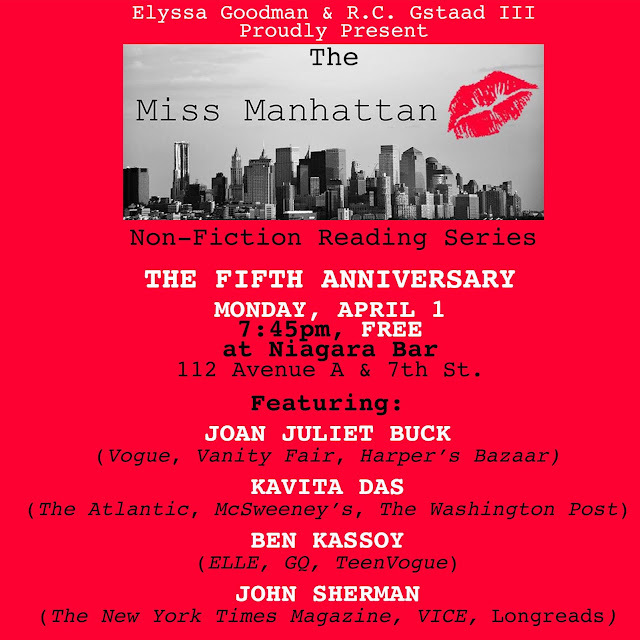 The reading has been written up in the likes of The New Yorker, Vanity Fair, Hyperallergic, Time Out New York, Flavorwire, The Skint, and more. 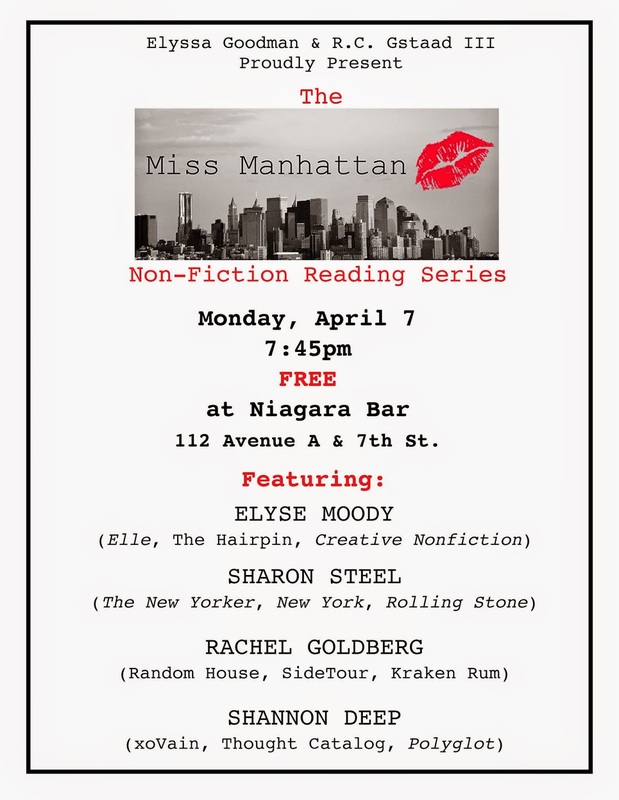 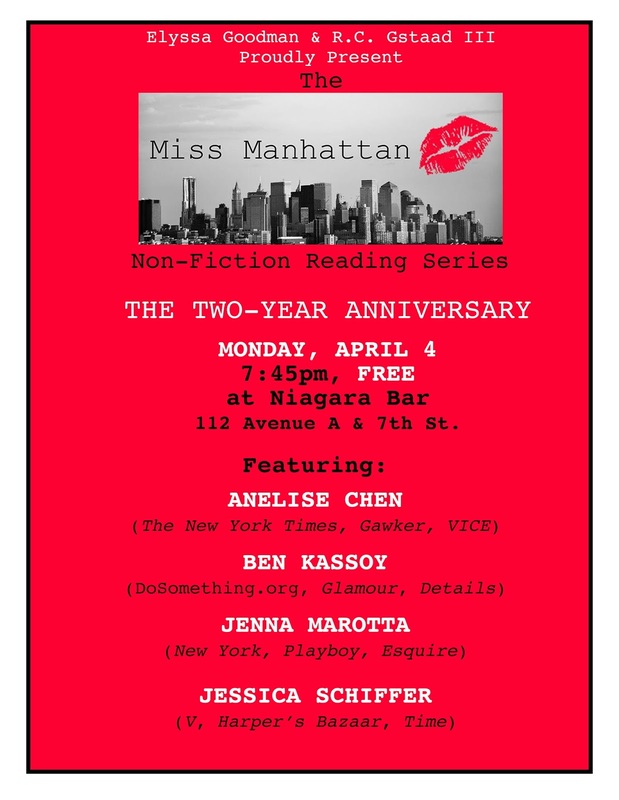 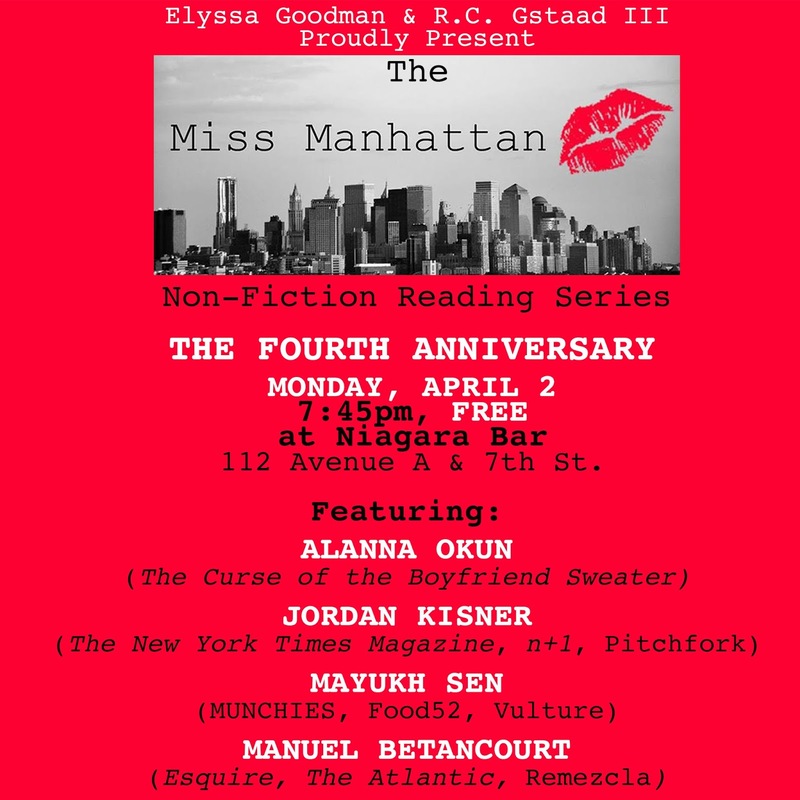 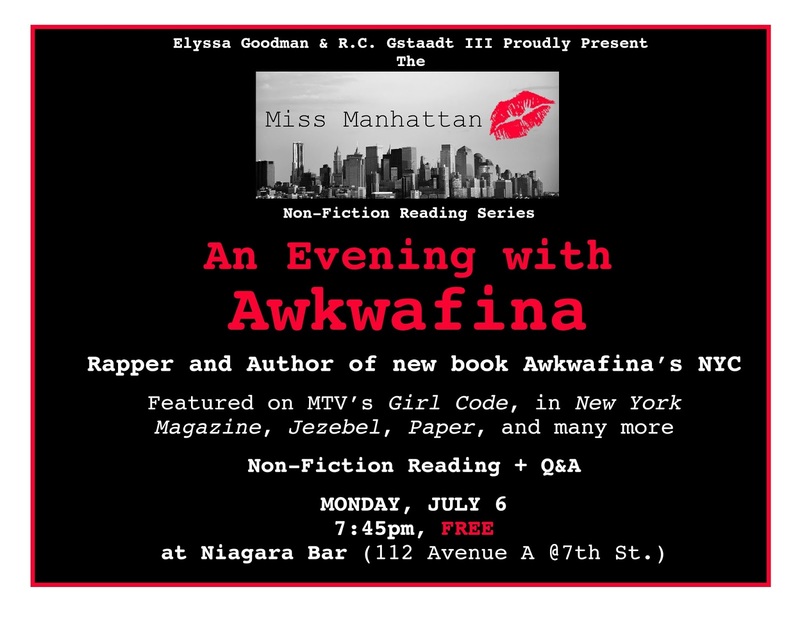 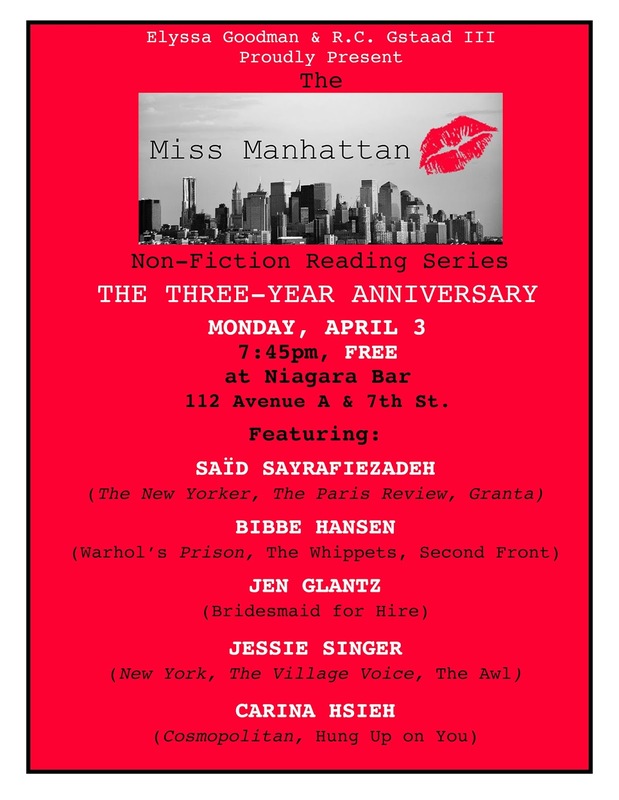 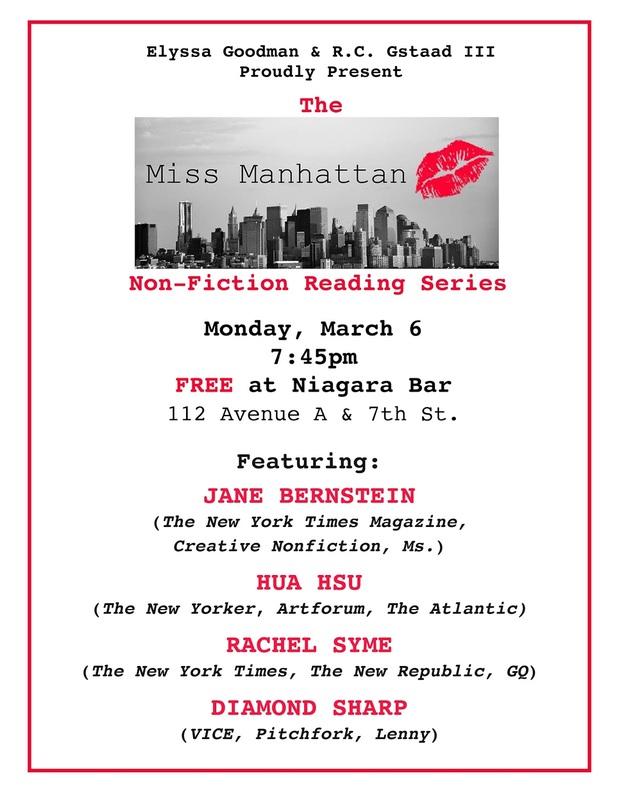 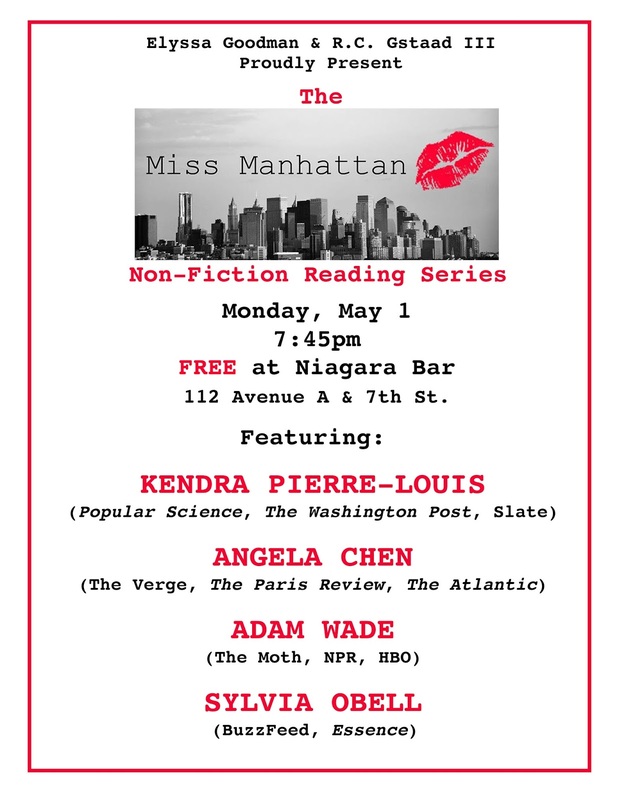 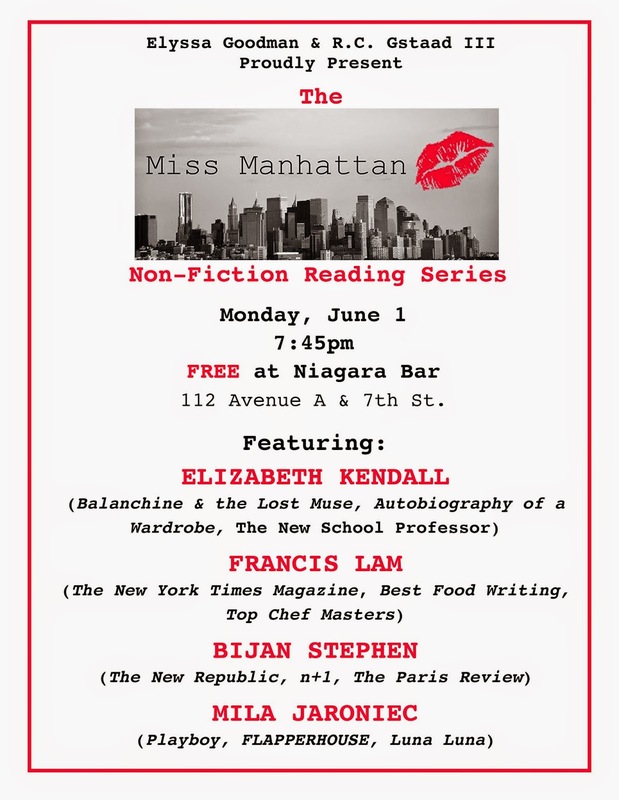 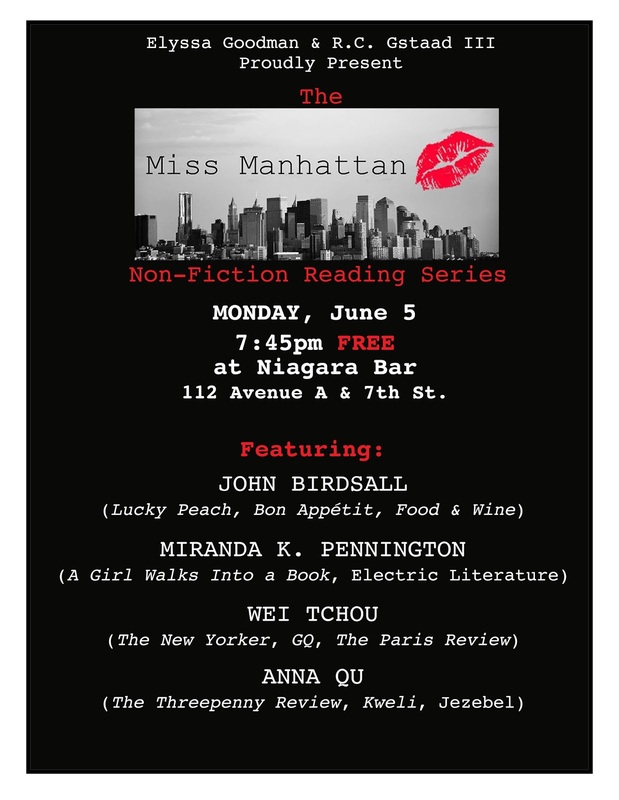 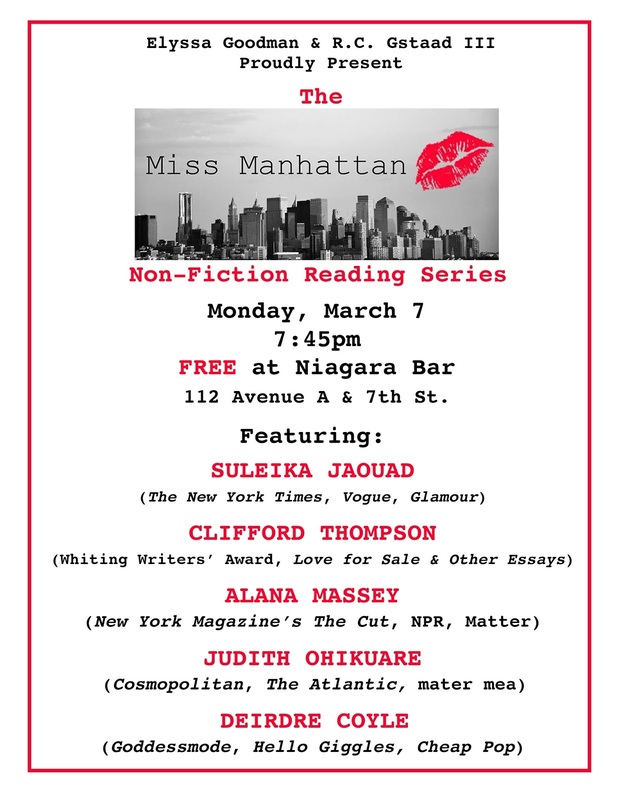 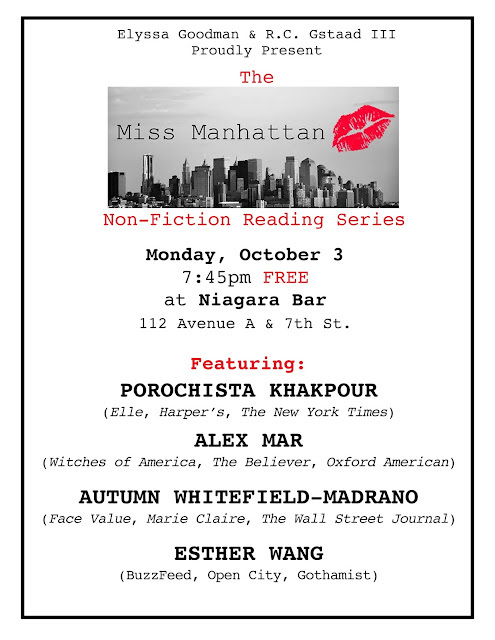 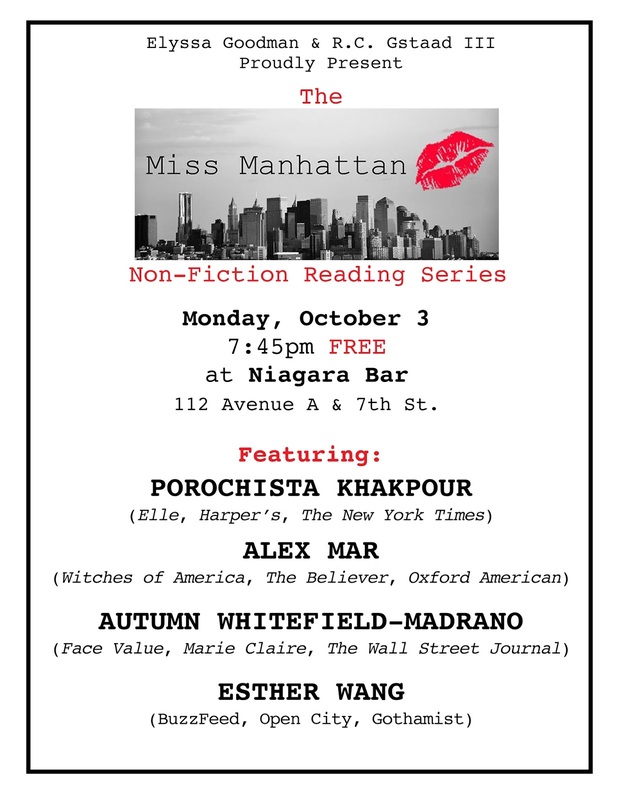 The next Miss Manhattan Non-Fiction Reading will take place at Niagara (112 Avenue A at 7th Street) on Monday, May 6 at 7:45 pm. 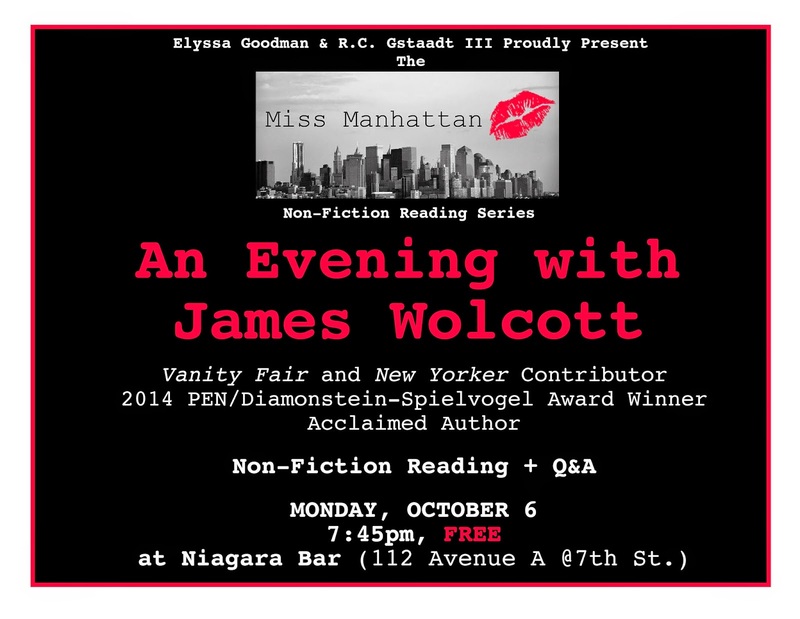 Here is the link to the Facebook event.